The awesome thing about circle skirts is that once you get the idea, you can use the same premise to make a variety of different styles all based on a simple circle skirt. I’m skipping ahead here for just a second to show what our end goal is. What we want at the end of all of this is to wind up with a big donut shaped piece of fabric with the center hole’s circumference matching that of our waistband, so for our example, 40″. Thar be math ahead!! Don’t worry, it’s not hard, and I’ll walk you through it. If you’re a little rusty on your geometry, let’s revisit. The circumference is the measurement aroouuuund the outside of a circle. The radius is the measurement from the center point of the circle to any point on the outside of the circle (the diameter goes all the way across the circle, and is two times the radius, but we don’t really need that here). MATH STUFF! HUZZAH! I’ll bet you love math as much as i do, so this part will be So Much Fun. Before you try to skip the math and wing it, read this. In order to cut an accurately sized hole (40″, remember? ), we need the radius of the circle. let’s pause for a minute. I’m not going to go into great detail about this, but there’s something called ‘bias’ with fabric. It has to do with how the weave of the fabric effects the way the fabric drapes. Cutting on the bias will make the fabric stretch. When you make a circle skirt, you’re going to wind up cutting part of it on the bias- no matter what you do, it can’t be avoided. Even with a non-stretch, woven fabric, it will stretch. Stretch fabrics will REALLY stretch when cut on the bias. So if you’ve ever made a circle skirt, and you’ve done ALL the math right, and it still turned out a little too big, we shall blame bias. To counteract bias, we need to make the hole smaller than we think we need it. So we will subtract 4 inches from the 40″ we are shooting for. That gives us 36″. I know 4 inches sounds like a lot, but trust me here. You always want to shoot for smaller with a circle skirt (unlike most other things where larger is more easily fixed), because that can be fixed by cutting the hole bigger! So even though we want a 40″ hole, we are going to do the math for a 36″ hole. The next step is figuring out how much fabric we need. Circle skirts require a decent amount of fabric, so sometimes you’ll need to make your fabric donut out of 2 or even 4 different pieces of fabric. Take your desired skirt length (minus the waistband), in our case it’s 16″, and add it to the radius measurement. Now multiply that times 2 and we have 43.5″. Your piece of fabric must be at least 43.5″ in length and width in order to cut a circle skirt in 1 continuous piece. Generally fabric comes in 45″ and 60″ widths, so as long as your piece of fabric is long enough, a skirt with these measurements is not a problem. However, if you want a really long skirt, you will most likely have to piece together your giant donut in halves or quarters. This isn’t so much a step as a note, because the drawing illustrates a particular concern with circle skirts. Patterns. That top little skull guy is going to wind up being upside down on our skirt. Maybe you don’t care, that’s cool, but it’s something to keep in mind. One-way patterns will be upside down and sideways at various points on the skirt. If that bothers you, see the next step. If you cut your skirt in quarters with all of the pattern pieces oriented so the pattern stays right-side-up, you can avoid this issue. You can avoid this by choosing patterns that aren’t one-way. Polka dots work fine. 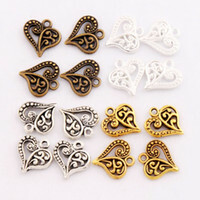 Or you can use one-way patterns to your advantage to get interesting designs. Stripes, for example, look pretty cool on a circle skirt because the stripes take on a curvy appearance. See an example here. Okay, take a deep breath… we’re almost done. If you have determined you can cut your skirt in 1 continuous donut, fold your fabric in half. And then in half again, so it’s folded in quarters. Make sure you get nice neat folds… you don’t want it to look sloppy like my drawing. And you don’t want wrinkles. If you’ve determined you won’t be able to cut your skirt in one continuous donut, you will wind up cutting your fabric something like the examples below. The bottom illustration shows the circle skirt cut in 4 quarter pieces. Again, don’t forget the seam allowances. In both illustrations, the fabric is in a single layer- no folds! Laying flat, the middle circle will be 36″, but when you open it up and let gravity have a tug at it, it’ll be much closer to 40″. Measure it to make sure, and if you need to make it a little bigger, go ahead. Just take a sliver off that inner circle to make it a little bigger. Go slow, because like I said before, too big is harder to fix than too small. Attach the donut to your waistband, and you’re done! If it turned out a little bigger than your waistband, just stretch the waistband a little as you sew them together. You can use this same idea to add a flounce hem to a dress or skirt. Okay, so now you’ve mastered the circle skirt. What else can you do with it? Check these ideas out! Why does the hem of my skirt wind up with longer bits after a few weeks? Bias + Gravity = Wonky Hems. Before hemming a circle skirt, let it hang on a hanger for a few days. After the fabric has stretched out, remeasure and trim the excess before hemming. I’ve read claims that even after this step, the fabric will continue to stretch, particularly if you’re using a heavier/stretchier fabric or you’re making a full length skirt. There really isn’t a way to keep it from stretching aside from relocating to a zero gravity environment. ? The best you can do is encourage the bias to stretch out before hemming and then even it up. How do I make a circle skirt with an elastic waistband? Do I really need to subtract 2-4″ from my waist measurement to account for bias stretch? That seems like a lot. First things first: If you’re making a skirt with an elastic waistband (see previous question), you don’t need to subtract from the waist measurement to account for bias. And by elastic, I mean ELASTIC. The stuff that comes in a width of 1″ or 2″ or 3″, etc. If you’re making a stretch waistband from fabric, I would suggest you account for bias stretch as suggested. With most sewing, you’re better off making something too large than something too small, so I understand the worry. But when it comes to the waist of a circle skirt, it’s much easier to make the hole larger than to make it smaller. Yes, you could add a seam and take in the extra width. But then we did all that work to cut it in one piece for naught! (If you’re already cutting your skirt in more than one piece, you can ignore this.) Yes, you could gather the extra width into the waistband, but then we biffed it, right? It’s a salvageable biff, but a biff nonetheless. So, what to do if you followed my advice to subtract all those inches from the waist, and now the waist is too small? Make the hole bigger! For every 1/4″ you take away from the waist, the circumference will get 1.5″ larger. Translation: a little trimming goes a LONG WAY. Is the 40″ measurement our true waist or that around our hips? It would depend on where you want to wear the skirt. In this case, this method would be best suited to a skirt worn low on the waist/hips. I just want to say thank you. I wanted to make a ballet skirt and found your tutorial on YouTube. I am not great at sewing, but I did it!!! I was nervous because the fabric I was using was sheer and slippery, but it turned out great! Have a good day! Gah! Why did I find this AFTER I made my first one??? I was following some other tutorial that said before finding the radius add 2 inches to help with it going over your hips. Yup, now I have an ultra cute skirt that is too big (and is slightly too short because I had a larger radius than needed)! I’m making another one for a friend tonight, so I plan to use this method! Thank you for the post. I used your method for a skirt I made for my daughter and OH MY GOSH!!!! The best ever!!! Thanks so much. I love watching your tutorials. You are an amazing, and crafty 😉 person. Thanks so much for your help! Forgot to mention, every time she wears the skirt she gets compliments of how nice it looks. Thanks again! 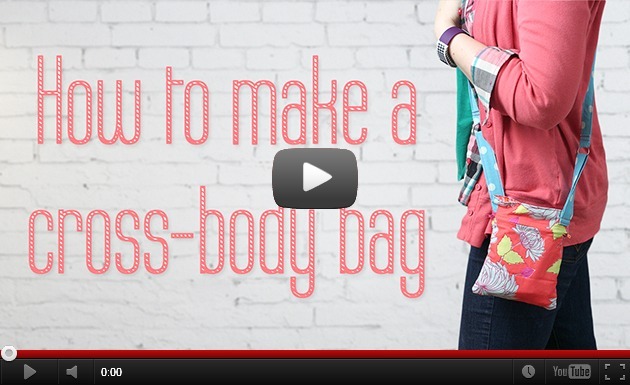 The casing should be made large enough to fit over your hips (or shoulders). The same with the hole of the circle skirt. The elastic should be cut a few inches smaller than your waist. Hope that helps! What kind of fabric do you suggest? Can you use just a quilting cotton, or do you need something g more flowy? Knit fabrics are slinkier, so they don’t stand out much on their own and usually need a petticoat underneath if you want much volume. Regarding using the 1/4 method. How should I adjust the math? Do I still do the same math to get the inner circle? How do I mark that then cut the outer circle? I understand adding seam allowance just not sure how to adjust the numbers as I want to do a 1/4 skirt. Also, can you show how to add piping to circle skirts as that’s my plan in the end. When making a “fractional” skirt, you need to first multiply your waist measurement by the “reciprocal,” which is just the fraction flipped. So if you want to make a 1/4 skirt, you multiple your waist by 4/1 (which is the same as just 4). Example: if you have a 30″ waist, you multiply by 4 and get 120″. You can do the same thing, the only difference is that the 1/4 template is the pattern for your entire skirt. I’m hoping to sew a circle skirt with an elastic waist band for a costume i’m working on. I’ve bought a bunch of beautiful brocade fabric that I intended to use for the whole costume, but now i’m realizing that every single tutorial i come upon requires stretchy fabric. Is there any possible way around this or do i HAVE to use stretchy fabric if I want to get around using a zipper? Thanks! In the video you’ve used a knit fabric – would it also work with a woven fabric? I would like to make a circular skirt, but the fabric I wish to use, black cotton fabric with large 1″ poke-a-dots, comes in 45″ wide. It is for an adult and needs to be 26″ in length. Do I open up the fabric and cut 2 half circles and piece on the sides and place zipper on side? Any advice?? 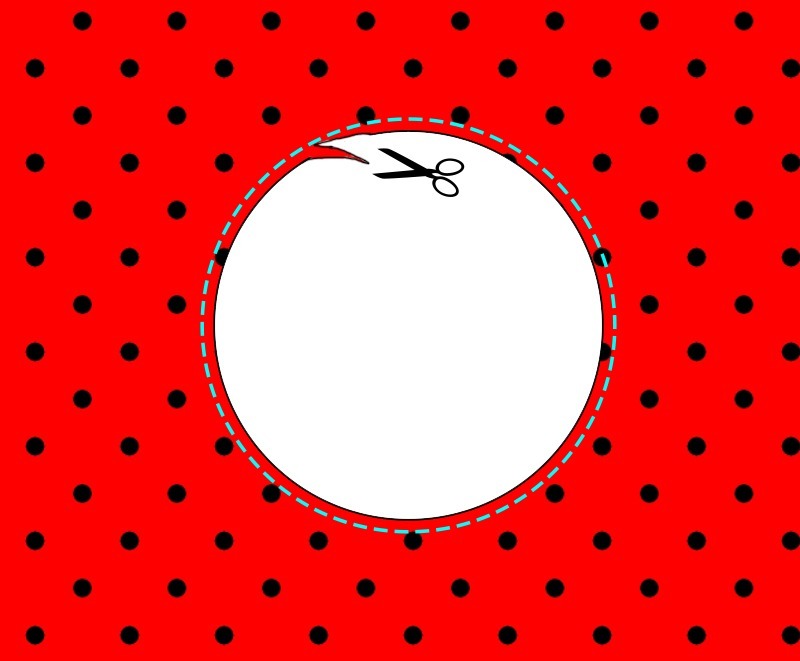 Because your fabric is polka dots, two pieces cut on the sides/selvedges should work fine. Other prints would potentially wind up being sideways if you cut that way, which is why I talk more about cutting in 4 pieces in the video. This is a great site! I am new to sewing and I want to make clothes for my daughter (and her doll). Forgive my ignorance but if I have a 38ish waist and my first circle is 44 how much fabric do I purchase? Sorry, but I am confused. Your skirt looks so good. Thanks for this post! I want to make a floor length circle skirt and twice as full. I’m terrible with creating my own equations to figure this out. Suggestions ate appreciated. 1. Measure your waist. Divide by 2. 2. Divide the “half-waist” measurement by 6.28. This is the radius. 3. You will cut two full circles with the above radius and sew them together. 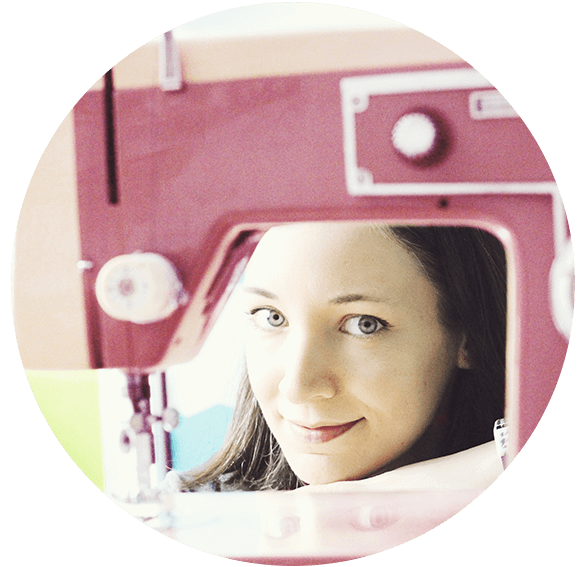 In reality, you will actually be cutting many segments and sewing them together. A floor length double-full skirt is going to require a lot of seams. Your best bet is going to be to make a template first. I usually make a 1/4 template with a square of paper and use that as my pattern and to determine yardage. Remember to add seam allowances. How would you go about making a circle skirt out of a fabric that already has a border? If the border is straight… you can’t. It’s just not possible to take a straight edge and make it into a circle. If you had, say, a circular tablecloth with a border, that would work. You’d just cut a “waist hole” into the center and add a waistband, and then you’re done. Hello, I love circle skirts and want to up my game by attaching a bodice to my fabric waistband circle skirt before installing my zipper to the whole garment, do you have any suggestions to offer. I really appreciated the tip you gave about taking off four inches to accommodate the bias cut of the waist. Any helpful suggestions like that regarding the bodice would be most helpful. When attaching a circle skirt to a bodice, I would assemble the bodice first. Measure the “waist” of the bodice (where the circle skirt will be attached), and subtract approximately 4 inches. If you cut the circle skirt in one piece, you’ll obviously need to cut it open along one edge for the zipper insertion. It would be easiest to make the cut along a grainline. Attaching the zipper along a cut with bias could lead to wavy seams. “aroouuuund the outside of a circle”, LOL. That was awesome. How would you pin an elastic waistband to the skirt? I’m talking about the 3 inch stretch elastic that you can buy on a “card”. Love your article! This skirt is looking so cute. I am impressed with your creativity. I have a need to try this. Thanks and keep sharing. 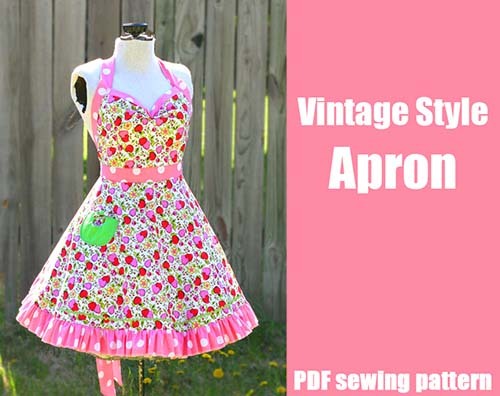 Assuming umbrella skirt is just another name for a circle skirt… the sides of the skirt are cut on the bias. Bias stretches, and over time, the weight of the skirt causes the bias-cut sections to stretch. It’s recommended to hang circle skirts for several days before hemming to let the bias stretch. Then remeasure the length, trim any excess, and hem. Very stretchy and/or heavy fabrics may continue to stretch over time, even after this step is taken. It’s just the natural of circle skirts. I thank you for this tutorial I thought I was an idiot after making three circles and still needing to cut in a full seam to compensate for not going down 4 inches in my measurement. My next circle skirt will be perfect. I even plan to do a rolled hem now that I have the rolled hem foot. Do you have a tutorial for a circle skirt with pleats (all types of pleats). I plan to make every variation I can now that I can master the circle skirt. I don’t know the correct measurement to compensate for the pleats. A tutorial from you would be awesome because your the only one who told me to subtract 4 inches. I know this is several years old now but I wanted to say thank you for all the math you did. I make cloths a LOT and I love the fullness and seamlessness of a circle skirt, so every time I make one I come here just to double check I am doing it right. Tried a couple times to get the template. I am actually working on a witch’s hat for a doll and your site suggested downloading this circle skirt template as a guide. This link doesn’t seem to work to get the template any longer. Help!! I have a customer order for 3 poodle skirts. I am making them out of felt, which does not stretch. For the radius, I am so confused. I am making them 26″, 28″, 30″. When I do your calculations (subtracting 4″ then the formula) I get a measurement. There is also an online calculator app, and that gave me another measurement for radius. Now, I don’t know which to use.. And since I’m using felt – do I still subtract the 4″ first? I am afraid they won’t be able to get over their hips… Please help me 🙂 I have to get these done next week. I am using 72″ width fabric.